I spotted this Lady Bug hanging out on some sunflowers the other day. I was surprised becuase I haven't seen many of them around the past few years. You may not be able to tell in this pic, but their is an Ant right near it. 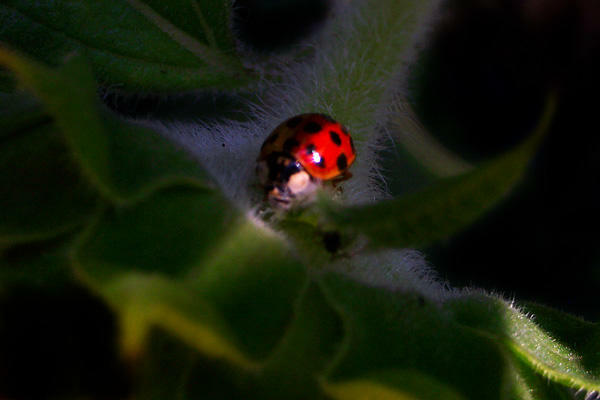 I couldn't tell if the Lady Bug was trying to eat it or vice versa but they didn't seem to be getting along.